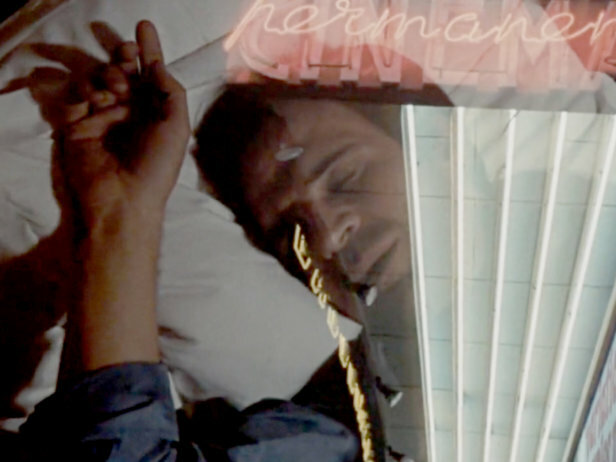 As part of Fotograf Gallery’s reading room activities and the Fotograf Festival program, we will present the artist’s film Americká noc (Day For Night), wherein he appropriates known sleeping scenes, of falling asleep and waking up, so that he can repeat them in increasingly faster loop. 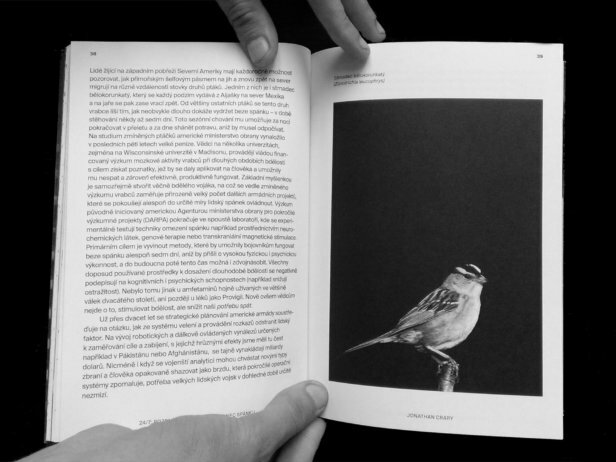 You can view the film Day For Night and the compilation of texts in the Fotograf Gallery reading room beginning 6 September: during the official opening of the exhibition In the Lion’s Shadow by Jirka Skála. There will be a lecture by the artist on the topic of the biopolitics of sleep in the Fotograf Gallery reading room on 27 Sept. beginning at 7:00 pm. This will mark the reworking of the text compilation for official publication. The exhibition is a part of Fotograf Festival #8 “Non-Work: Occupied by Leisure Time”.